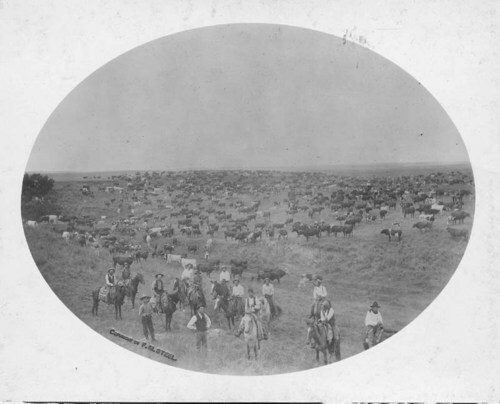 View of cowboys standing and on horseback on the B. R. Grimes ranch in what was Woodward County, Oklahoma Territory, in 1897. A round-up herd of about 200 head of cattle is visible in the background. In 1907, Harper County was created out of portions of Woods and Woodward counties.